Saudi money, including its Public Investment Fund, is a force in Silicon Valley and beyond. But the alleged murder of a prominent Saudi journalist is putting some leaders in an uncomfortable spot, as more top executives back away from a planned conference in Saudi Arabia. JP Morgan's Jamie Dimon was one of the latest prominent corporate leaders to back out of appearing at the Future Investment Initiative conference. The disappearance of a Saudi journalist has put leaders in Silicon Valley and beyond in an uncomfortable spot. Uber Technologies CEO Dara Khosrowshahi and Sam Altman, president of the investment group Y Combinator, are among the tech leaders that have backed away from Saudi engagements amid allegations that Jamal Khashoggi, a Washington Post columnist and high-profile critic of the Saudi government, was murdered inside the Saudi consulate in Istanbul, Turkey earlier this month. Along with venture capitalist Marc Andreessen, Softbank Group (SFTBY CEO Masayoshi Son and other business leaders, Altman had been named to an advisory board for Neom, a $500-billion plan to build a mega-city in the Saudi Arabian desert spearheaded by Saudi's Crown Prince Mohammed bin Salman. He said in a statement that he was suspending involvement with the board. Khosrowshahi, meanwhile, had been scheduled to speak at the Future Investment Initiative, a conference hosted by Salman, but said he would no longer be attending. Virgin Galactic founder Richard Branson, Viacom (VIAB - Get Report) CEO Bob Bakish and a host of media organizations have also pulled out of the event. Others, including JPMorgan (JPM - Get Report) CEO Jamie Dimon, Blackrock (BLK - Get Report) CEO Larry Fink and Ford (F - Get Report) chairman Bill Ford followed suit over the weekend in pulling out of planned appearances at the event, which has been dubbed 'Davos in the Desert' for its high-profile roster of attendees, many of whom have business ties to Saudi Arabia. Saudi Crown Prince Mohammed bin Salman has invested in many top tech firms in the U.S. In the tech industry, the Saudi government has deepened its reach in recent years. Through its Public Investment Fund (PIF), the Saudi sovereign wealth fund chaired by Salman, it's made a number of high-profile and direct deals in tech firms, including a $3.5 billion investment in Uber in June 2016, equivalent to a 5% stake; a $461 million investment in augmented reality start-up Magic Leap; and an undisclosed stake in Tesla (TSLA - Get Report) representing between 3% and 5% of the company. In 2016, the PIF also poured $45 billion into the first iteration of Softbank's Vision Fund, which totaled $100 billion and was doled out in the form of big-ticket investments into firms such as WeWork, Uber, GM's (GM - Get Report) Cruise, Flipkart, Slack and Nvidia (NVDA - Get Report) . The PIF isn't the only powerful Saudi entity with Silicon Valley ties -- the Kingdom Holding Company, owned by billionaire Saudi Prince Alwaleed bin Talal, has bought up stakes in companies including Snap (SNAP - Get Report) , Twitter (TWTR - Get Report) and Lyft Inc. But Khashoggi had been a vocal critic of Salman, whom he accused of repressive activity and exacerbating regional crises. Those criticisms are now a suspected motive in the disappearance and alleged murder of Khashoggi. Saudi wealth has made Salman a force in Silicon Valley, but scrutiny into Khashoggi's disappearance has the potential to make that influence a liability. If participation in the Neom project or the Future Investment Initiative is any indication, that could already be happening as tech leaders try to back away -- even as their companies sustain ties to Saudi Arabia. Uber, for example, has a PIF managing director, Yasir Al-Rumayyan, on its board in addition to the fund's ownership stake. But for now, Khosrowshahi must walk a fine line in distancing himself from the regime. 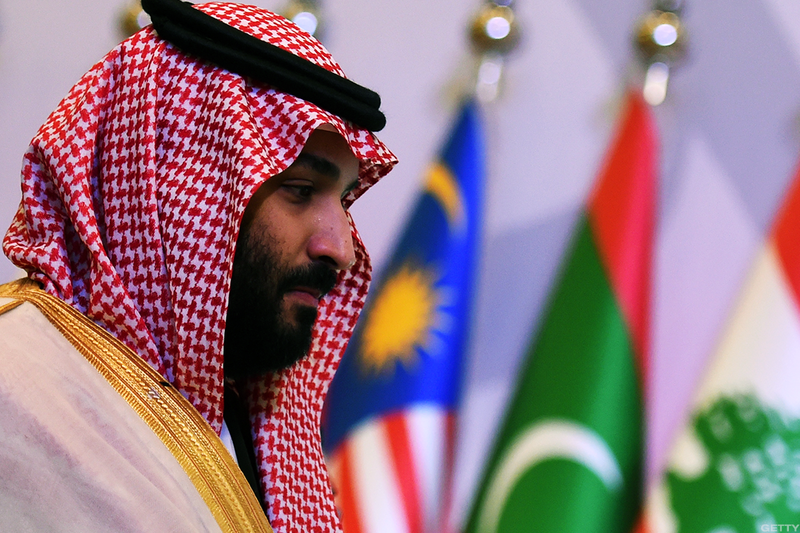 "We are following the situation closely, and unless a substantially different set of facts emerges, I won't be attending the FII conference in Riyadh," he said in a statement.